Engineers at the McLaughlin Whitewater Design Group, McLaughlin Water Engineers which are each divisions of Merrick & Company have been leaders in the the design, research, and physical modeling of diversions and “river grade control structures” that eliminate the need for dangerous low-head dams, reduce maintenance related to sedimentation and debris, and are environmentally friendly. 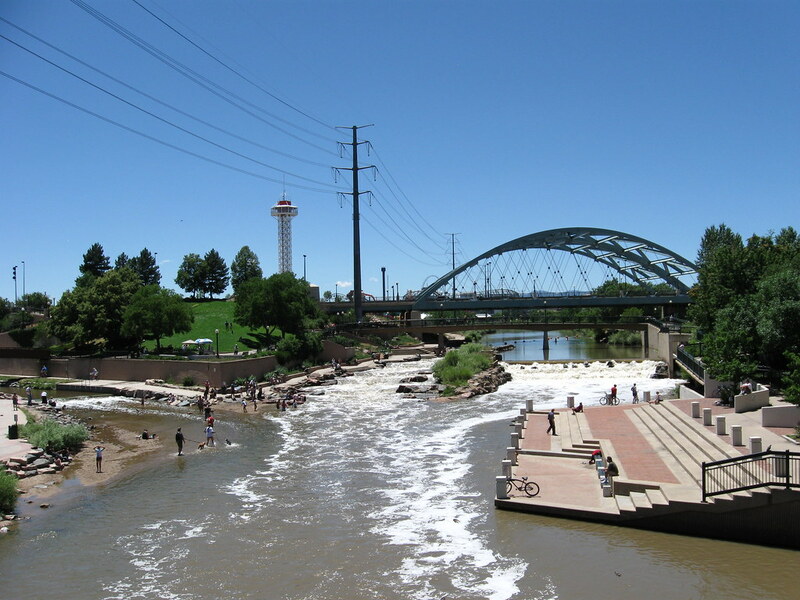 These structures mimic natural rapids and are referred to as “roughened channel fish passage,” and MWDG has designed and overseen construction of projects of such channels since the mid-1980′s. A typical diversion utilizes a low-head dam to create a pool where water can reliably be withdrawn. While low-head dams are cost effective, they are well known for creating severe hazards to boaters and obstructing fish passage. A river friendly or multi-purpose diversion can replace a low-head dam utilizing engineered rapid with hydraulics. These rapids can incorporate natural and artificial rocks to create water dynamics that are navigable by native fish and minimize risk for knowledgeable boaters and anglers. If a water diversion has been included in the design, the McLaughlin Chute Screen can be strategically located upstream of, or actually in the rapid allowing boaters and fish to pass over, unaffected by the diversion. There are several ways to retrofit rivers to make rivers more suitable for recreation, while restoring or protecting them for the future. One approach, “transverse stabilization,” strategically locates features across the river. This technique offers structural sustainability to the river and promotes deeper water and lowers bank velocities (discouraging erosion) without the use of piles of unsightly riprap.